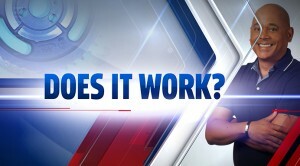 G Michael Salon in Indianapolis, Indiana recently participated in the newest Fox 59 segment, “Does It Work”. This segment is hosted by none other that the beloved, Sherman Burdette. In this ongoing morning segment, Sherman puts new products to the test by finding a business to try them out and see if it lives up to it’s claims. The new product that was tested at G Michael Salon was a Michel Mercier Ultimate De-tangling Brush. This new product comes in three different colors, each signifying a different texture of hair including: fine, normal and thick hair types. What’s the claim? The claim of this new brush is that anyone with any type of hair could achieve a gorgeous sleek look without pulling out a ton of hair regardless of your texture or past results. G Michael Salon put this theory to test and the results concluded that the regular paddle brushes used by their stylists on a daily basis were much better at creating that soft, sleek look without pulling out your precious locks. What will they test out next? Watch the Fox 59 segment, “Does It Work” below to find out if it’s really magic or not!